belgian waffle iron | A Bit of Nutmeg! Sift together first 6 ingredients in a large bowl. Stir in cheese. Combine egg and next 3 ingredients; gently stir into dry ingredients just until blended. Spray waffle iron with cooking spray. Spoon batter onto preheated waffle iron. Cook 3-5 minutes or until crisp and done. Repeat with remaining batter. 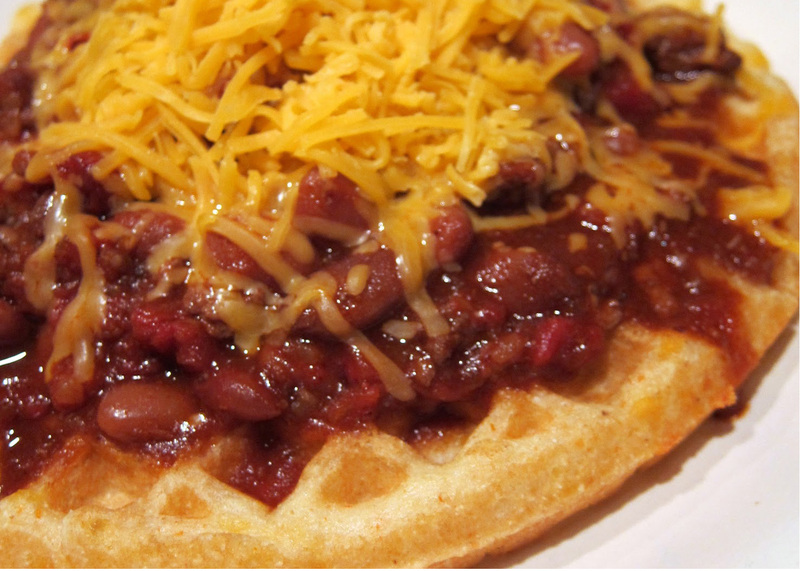 Top with chili and cheese.